Roland has announced its new SA-1000 stage amplifier, a super-lightweight and portable stage amp customised for use with organs such as new ATELIER series and digital pianos. 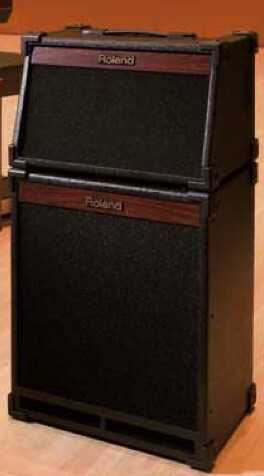 Features include an Organ Enhance button which adds bass nuances to a sound, onboard Anti-feedback function to automatically cancels unpleasant howling from being placed too close to other sound sources, and Stereo Link which allows two SA-1000s to be cascaded into a PA system for small-scale performances and concerts. The amp boasts 350W of output (75W x 2 plus a 200W subwoofer), and weighs 11.5kgs.